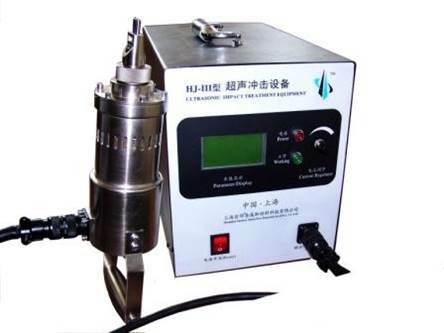 HJ-III series Ultrasonic Impact Treatment (UIT) equipment is based on Piezoelectric Ceramic Transducer ( PCT ) technology, first developed by Sunbow Technology for use around the world in 1995. UIT technology is a high efficient method to eliminate redundant tensile stress and bring in useful compressive stress in the surface and weld joints of mental products. UIT tool works by way of impacting the surface of mental products in speed of 20000 times a second under the huge push from UIT equipment itself at its maximum power. Enormous energy produced under this high frequency ,high-efficiency and focusing working way and they will cause big compressive plastic deformation in the surface of the mental products, and bring in useful compressive stress by change its original field of stress. Also under this working way, the temperature in the surface sharply rising and dropping, this will change the metal structure and thus strengthen the impacting parts. The smallest and lightest handhold impact treatment in the world. Adopts DSP (（Digital Signal Processor）)chip as core control system . DSP system also control constant current adjustment and tracking frequency. 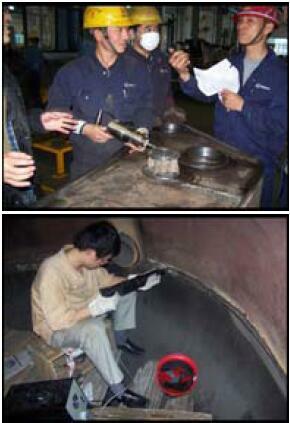 The longest working time can reach 16hours without additional cooling protection. Tracking frequency could reach ±2.0kHz under the control of self-regulating function model. It can be applied to ultrasonic impact processing of all kinds of metal materials, including high-strength steel ,armour steel and titanium alloy and other mental with strength grade over 1400MPa.